My husband and I have been in Atlanta, GA this week for some meetings. Today we decided to go out and have some fun: see some sights, munch on some food, annoy some strangers. . . 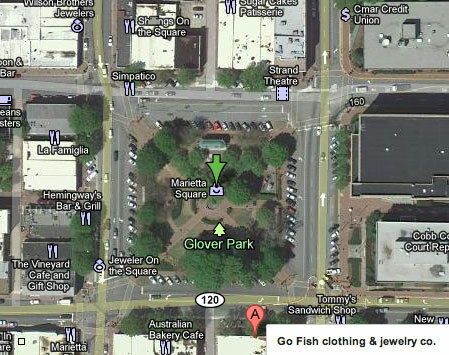 Unfortunately the Georgia Aquarium would be closing soon after we could arrive, so we ended up at Marietta Square. We found it to be a sweet little block of unique gift shops with very cute and interesting items all wrapping around a small park. Very cute. Very quaint. It’s the sort of place that gets me all inspired and ready to paint when I get home. and I decided that I just had to tell you about this gem. What is so special about this store? Everything in it is handmade and created by artisans living in 3rd world developing countries. Images of the artisans in their homes are posted beside their work and you can read their story. 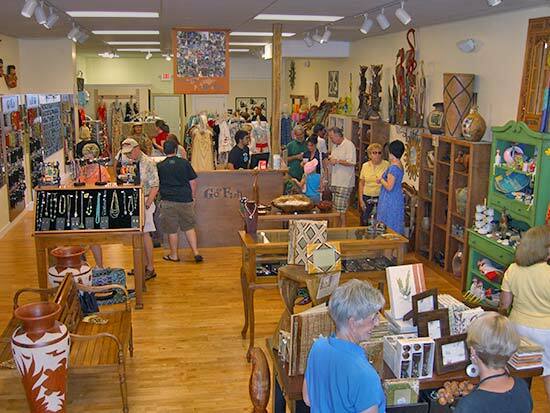 Beautiful jewelry, handmade clothes, scarves, wood carvings and so much more one of a kind pieces can be found here. Go Fish eliminates the middle man by working directly with the artists themselves and pays them their asking prices and I can’t honestly imagine that there’s an unjust markup as much of the merchandise is reasonably priced. The current location page shows 12 stores from Virginia on down to Florida with many franchise openings available in selected locations. So, if you’re into beautiful handmade items, helping someone in need, or think you might want to go into business – think Go Fish! This entry was posted in Discovering Beauty and tagged Discoveries, handmade, shopping. Bookmark the permalink.